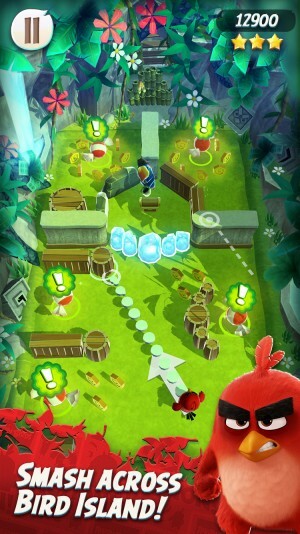 Rovio has soft launched Angry Birds Action in New Zealand, that should bring some more pull-and-fire physics-based action, but with a new top-down perspective. While immediate comparisons might be to Monster Strike (Free), this appears to be more of a simpler physics puzzler where you just try to wreak havoc in levels by launching and sliding around, trying to complete levels with a limited number of birds. If you get a certain number of hits in one launch, you get an extra move. The game features a winding level path to go on, with a seeming meta-game of rebuilding a village and crafting powerups to use. The energy system in this soft launch version is reportedly very rough to play with, as you run out of energy very quickly. Interestingly, this might be the second “top-down, pull-and-fire" game that Rovio is testing right now, if you believe Deminions Unleashed has anything to do with Rovio – though Supercell notably failed with Smash Land never escaping soft launch. Considering this game features the character designs of the upcoming Angry Birds movie, I bet we see this one worldwide sometime around the May 20th release. Check out the game’s forum thread to chat about this one.